Welcome to one of the most beautiful, liveliest and fastest growing cities in Germany. Leipzig is a place where tradition rubs shoulders with zeitgeist, and where great art can be enjoyed just a few steps away from an exciting world of outdoor activities. With a history going back almost 1,000 years, this Saxon metropolis has earned more than a few claims to fame – as a city of music, of commerce, of heroes, as the site of the Peaceful Revolution, as Little Paris, Athens on the River Pleisse, and the Venice of the North. For the young and creative, Leipzig is no longer an insider tip. 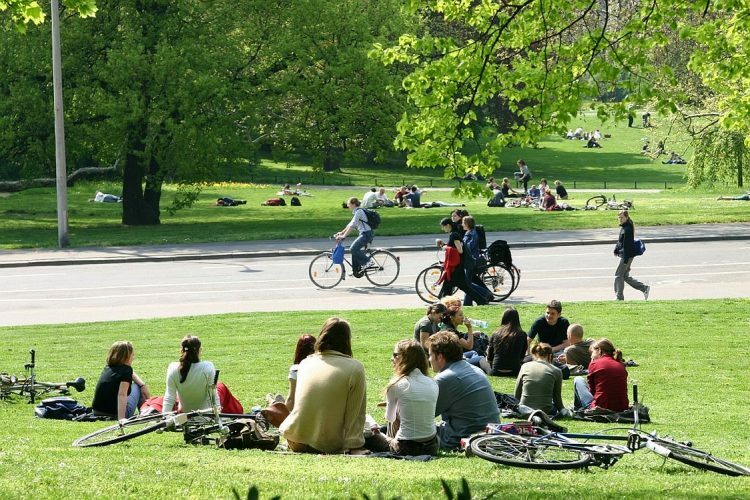 Word has spread that the city’s working and living conditions are just right and three universities with an artistic or cultural profile as well as Leipzig University constantly feed the pool of ideas. 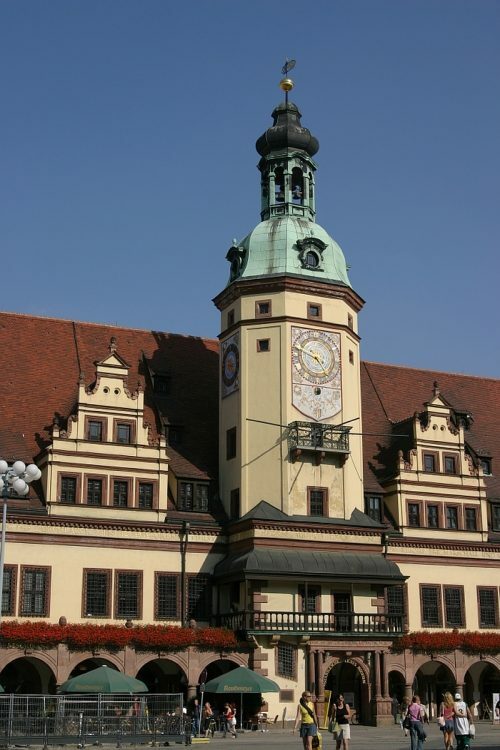 Leipzig is known throughout the world for its vibrant arts, music and festival scene. Therefore the city in the East of Germany does not only appeal to artists and actors, but is also a trendy destination for individual travelers. Whether you love music, art, party or cars– the choice is up to you. Leipzig is looking forward to your visit. The flair of the Leipzig city centre is due to the special features of its urban architecture. There is no other European city with a comparably compact inner-city system of arcades and passageways that emerged from centuries of trading and trade fair activities. Architecture fans react enthusiastically when seeing the around 30 arcades, 20 of which are historical. Old trading palaces and courtyards from the Renaissance, Baroque, Art Nouveau and the historicist period blend harmoniously with modern buildings of the 20th/21st century. The most famous and probably the most glamorous arcade is Mädler Passage, whose history is connected with the popular Auerbachs Keller. In October 1813, the peoples oppressed by Napoleon joined forces outside the city gates of Leipzig. In the glorious “Battle of the Nations”, Austrians, Prussians, Russians and Swedes fought against Napoleon’s army. Involving 500,000 soldiers, it was the biggest battle ever in world history, marking the decisive turning point in the war of liberation from Napoleonic rule. Today the Monument of the Battle of Nations is the tallest accessible memorial in Europe. In October again, but more than 170 years later, a peaceful uprising led to the collapse of the socialist regime. After the peace prayers in St. Nicholas Church, some 70,000 took to the streets on Monday, October 9, 1989 to demonstrate for freedom of speech, assembly and travel. Chants such as “We are the people!” and “No violence!” heralded the Peaceful Revolution in Germany. Hardly any other city can claim as rich a musical heritage as Leipzig. It boasts a large number of sites of interest where famous composers lived and worked, in a concentration which is unmatched anywhere in the world. 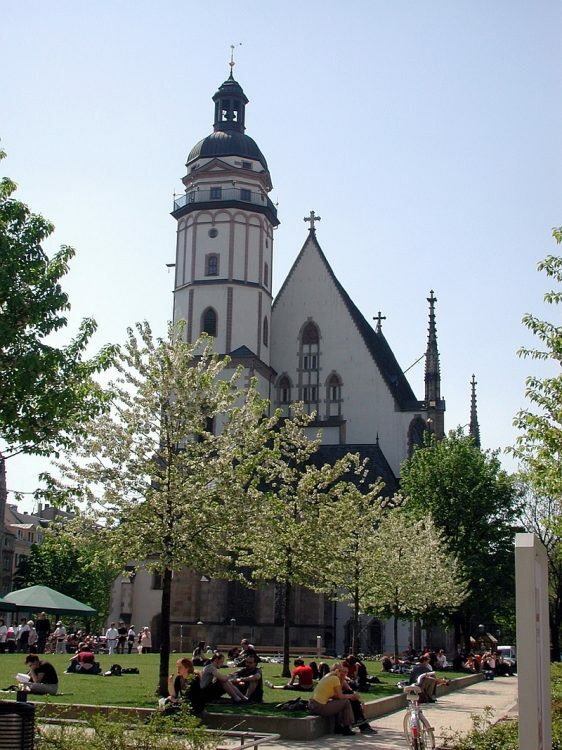 Names like Johann Sebastian Bach (who headed St. Thomas‘ Boys Choir from 1723 to 1750) and Felix Mendelssohn Bartholdy (his residential building where he also died is the only one remained) are inextricably linked to Leipzig. The Gewandhaus Orchestra has cultivated classical music in Leipzig for over 250 years. St. Thomas Boys Choir was founded over 800 years ago by the Augustinian Canons. Its most famous choirmaster was J.S. Bach. Cantatas and motets performed by the choir can be heard every Friday and Saturday at St Thomas‘ Church. 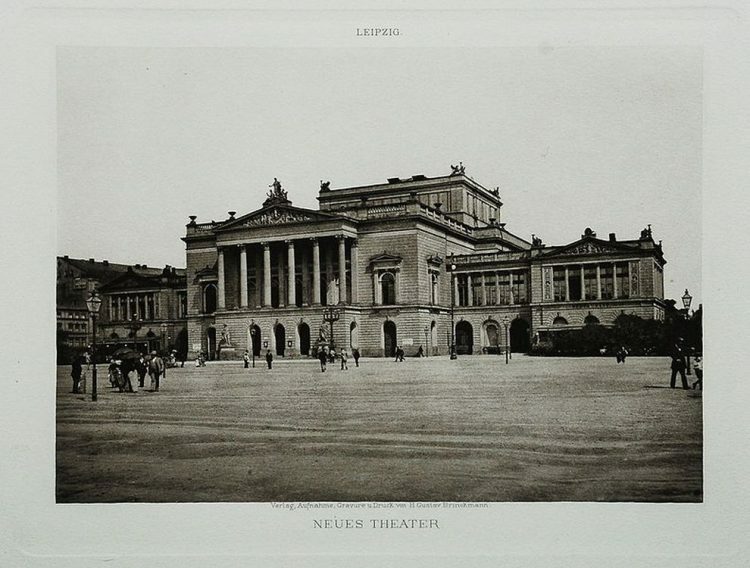 Leipzig’s opera tradition dates back to 1693. The Opera House is the third oldest civilian music theatre stage in Europe. Today its programme includes a wide range of works from Baroque to modern operas and ballets. Wherever you go in the city there is musical history: a dazzling past where the foundations were laid for a lively musical present. Opening up this treasure trove is the Leipzig Music Trail (“Leipziger Notenspur”). The Leipzig Music Trail is a unique guide system which links the 23 most important musical locations in the city centre along a 5 km route. A trail of curved stainless steel inserts in the ground and information boards is now winding through the centre of Leipzig to highlight the city’s exceptional musical tradition. After being housed in temporary venues for 61 years, Leipzig’s brand-new Museum of Fine Arts was finally opened in 2004. This ‘art cube’ (architects: Hufnagel Pütz Rafaelian/Berlin) is the first large new museum to have been built in eastern Germany since 1945. Museum highlights include a large collection of Flemish and Dutch genre paintings, the German Romantics, the Max Beckmann Hall and a presentation of works by Max Klinger. Artists from the former GDR are represented with more than 500 works. The GRASSI Museum of Applied Art opened in 1874 and is the second oldest Museum of Applied Art in Germany. With its first-class collection, it is considered one of Europe’s leading museums of arts and crafts. The classical areas of textiles, ceramics and porcelain, furniture, glass, metals, wooden and stone sculptures, decorative and practical pewterware, symbolist work, tools and equipment are richly represented. Art nouveau, art déco and functionalism create a profile-defining focus for the collection in virtually all areas. Craftwork and design of the 20th century also depict central key points. The Museum of Contemporary Art (foundation “Galerie für Zeitgenössische Kunst” Leipzig, GfZK) is an exhibition venue for contemporary art and a museum for post-1945 art. Visitors can see exhibitions on important and occasionally controversial issues in contemporary art. The café, library and shop have been planned and designed by artists – just like the museum’s own hotel and the café, which is redesigned by a different artist on a regular basis. Leipzigs green core, the Auenwald, a wide strip of floodplain forest running all the way through the city, is unique in Europe. On a boat trip along the canals or rivers visitors will discover the green lung of Leipzig. Another green part of the city is the zoo. It is the most modern one in Europe and its latest project is the giant tropical hall called “Gondwanaland”, which opened in 2011. Exciting tracks lead the visitors through the rainforest where animals cross their path. In the south of Leipzig the former lignite mining area has been turned into the “New Lakeland Area” with ideal conditions for swimming, water sports and attractive sandy beaches. The tourist guide „Leipzig – See you there!“ delivers further insights and can be downloaded free of charge. Many other reasons to visit Leipzig, information about its history, culture and economy can be found here in various languages. 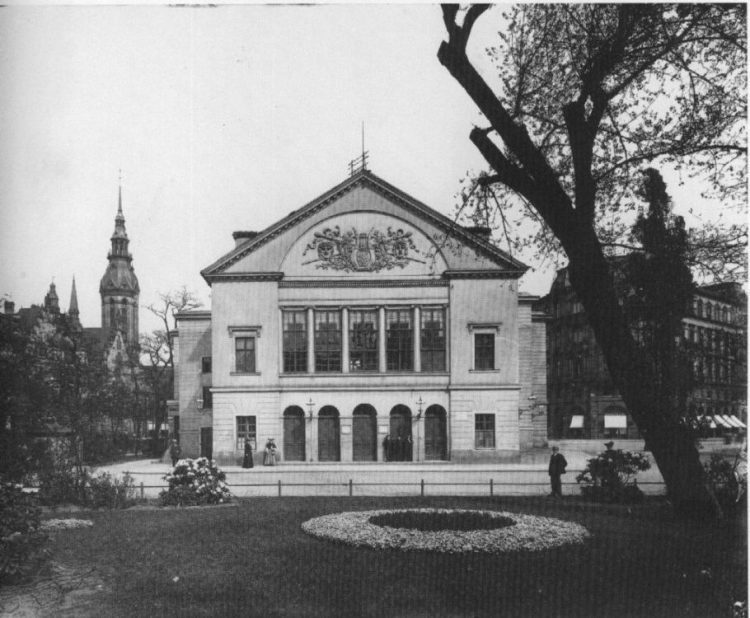 Two world premieres of Brecht’s work took place in Leipzig: Baal premiered on December 8, 1923 at the Altes Theater (now Richard-Wagner-Platz) under the direction of Alwin Kronacher (1880-1951). The actor Rudolf Fernau recalls: „[Alfred] Kerr and [Herbert] Ihering, [Leopold] Jessner, [Arnolt] Bronnen and the entire literary profile of Berlin were sitting in the audience. The performance was being more and more interrupted by shouts and bravos, to finally increase in raging ovations and votes against. The auditorium resembled a cauldron and when Brecht appeared people argued almost violently. Leipzig had experienced a scandal its glorious annals had not yet recorded.“ (R.F. : „Tue Brecht und scheue niemand“, zit.n. Begegnungen mit Brecht, hg. von Erdmut Wizisla, Leipzig 2009, S. 55). However, with the premiere of Rise and Fall of the City of Mahagonny, Brecht’s second debut in Leipzig, the scandal was bound to increase. It took place on 9 March 1930 under the direction of Walther Brügmann (1884-1945) in the Neues Theater (nowadays Oper Leipzig). The scandal was provoked by supporters of the NSDAP, who caused a tumult in the auditorium, so that the opera could hardly be played to the end. 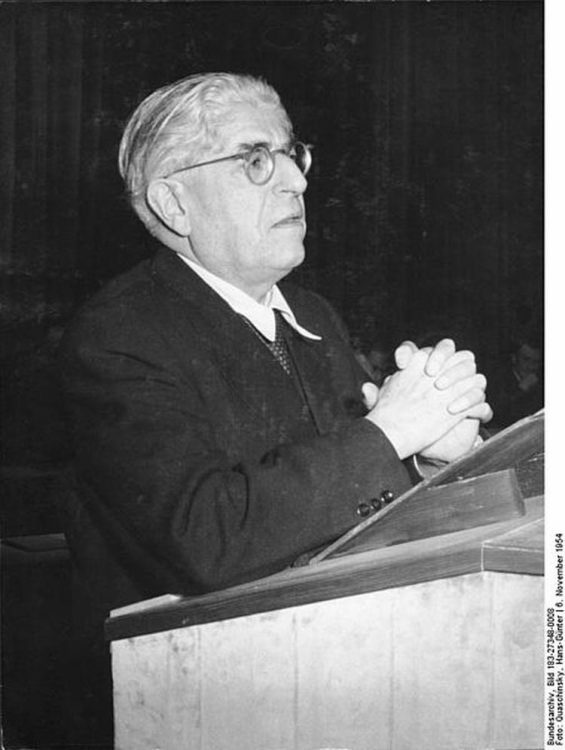 In the GDR of the 1950s, two courageous (and now highly acclaimed) professors of the (former) Karl-Marx-University Leipzig ensured the wider dissemination of Brecht’s work and ideas: Ernst Bloch (1885-1977) and Hans Mayer (1907-2001). Contrary to the cultural-political doctrine of socialist realism, in the peak of the Cold War they saw the disturbing foreign in Brecht, which could not be seized by any political camp. For this they were punished with the rather involuntary abandonment of the socialist community. For a long time this strangeness of Brecht was set aside, forgotten and suppressed by a dogmatic interpretation and propagation of the Epic Theater, which Brecht buried in the mausoleum of the so-called cultural heritage. It is in the duty of the Center of Competence for Theatre (CCT) and the Institute for Theatre Studies at the University of Leipzig to repeat this disturbing strangeness. 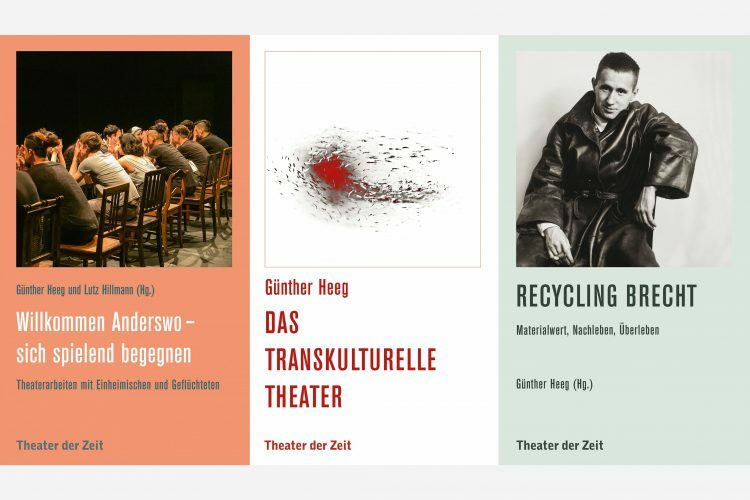 Visible signs of this are the establishment of the Bertolt Brecht Guest Professorship of the City of Leipzig at the CCT and the latest publications „Das transkulturelle Theater“ (2017), „Willkommen anderswo – sich spielend begegnen“ (2017) und „Recycling Brecht. Materialwert, Nachleben, Überleben“ (2019).